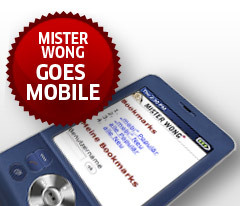 I checked out the Mister Wong Mobile edition with my cellphone after Ankit told me to, and it was the same story again. There was no filtering of URL, although the Dev team had told Ankit that only family friendly links are allowed, i could see many of the links were exactly the opposite. 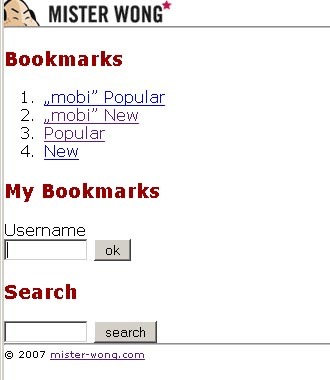 And you can search for sites by username if the person has enabled his/her RSS feed for the bookmarks. So its not really a fully featured mobile version, but more like a query system, very easy to replicate even for me. My honest fair opinion is that not much work has gone into the mobile edition as of yet. There should be a proper login and authentication for the mobile version also.